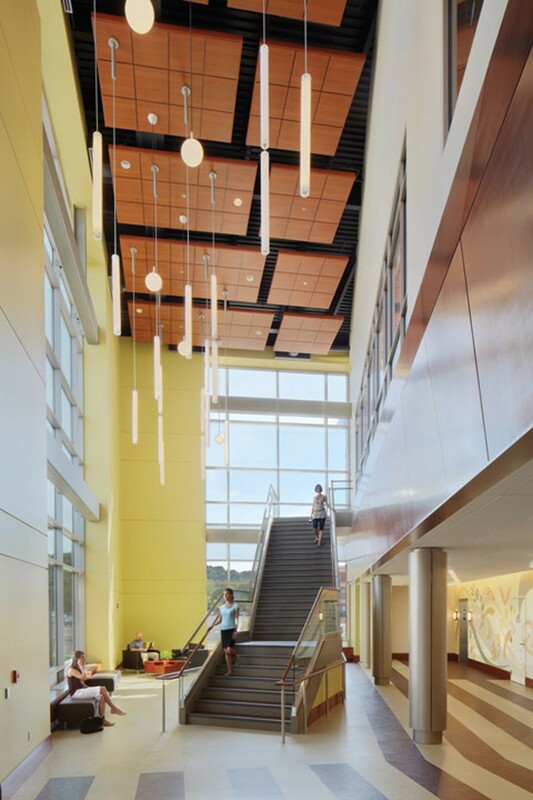 Jury comments: The project is located among a cluster of former mill buildings that have been adaptively re-used as state-of-the-art medical facilities. 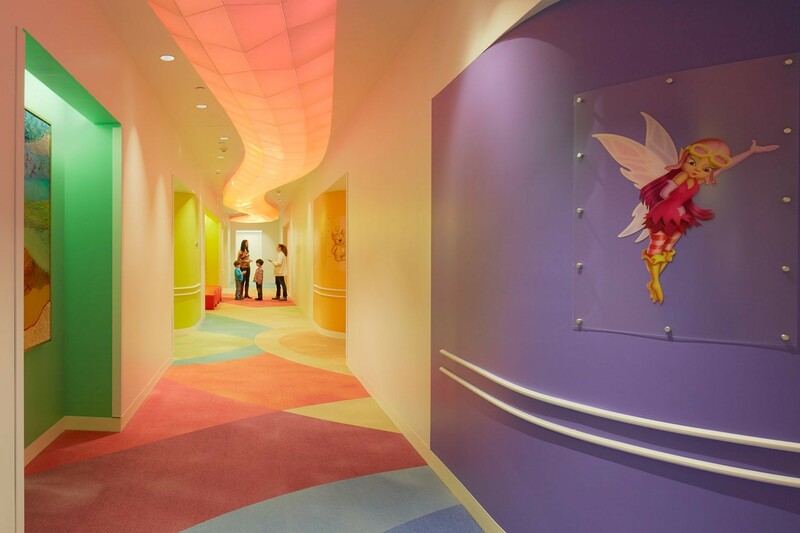 An excellent design process began with a charrette among former Disney "Imagineers" and resulted in a playful, whimsical, high-tech medical center that meant to be attractive to both young patients and older adolescents. 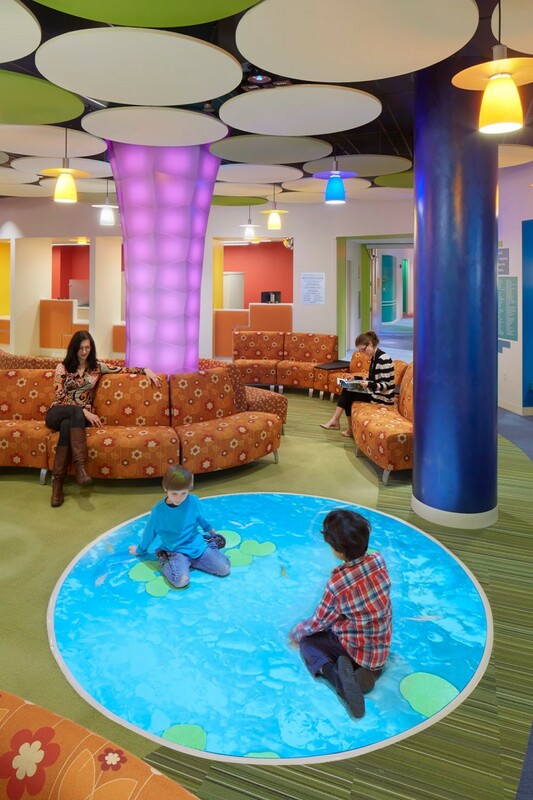 The extensive program requires 15 pediatric specialties to be organized under one roof. 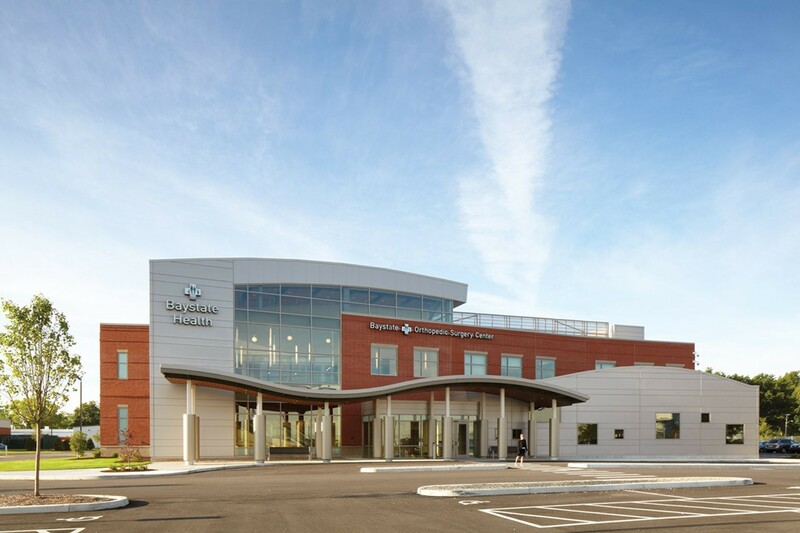 The exterior front entrance is well executed and enjoyable, utilizing intertwining brick and metal panels to create a distinct identity while blending into the masonry of the surrounding buildings. 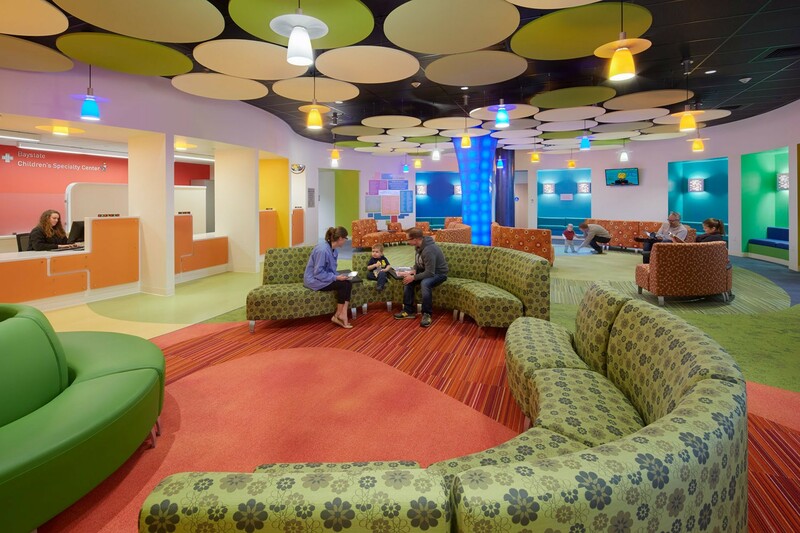 Details are thoughtful throughout, with especially interesting snake-like elements on the ceiling. The concept and sketches are captivating but the final project is, comparatively, a bit of a letdown.